I've had the paper torn and folded for my new journal for months now, but I was blocked at the question of what I would journal about this time. The answer came this week, so I quickly stitched the book together this morning in preparation for painting. 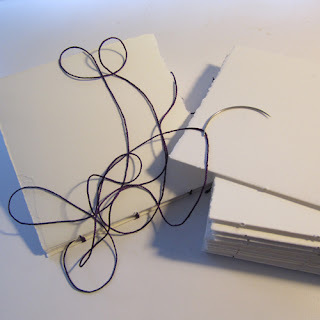 I used a variation on Teesha Moore's Amazing 16 Page Journal. 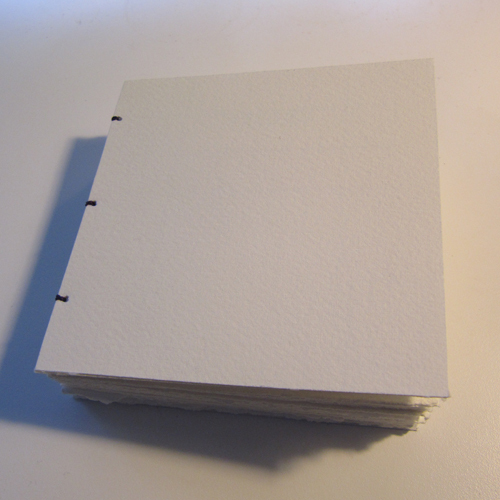 I tore my sheets from one large sheet of watercolor paper into pieces and folded to get 4" x 4" pages for the final journal. 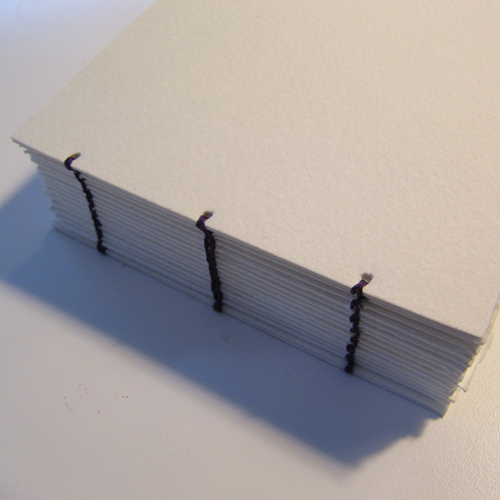 Because I have more pages, I stitched them together with a coptic binding and included two heavier covers. The next step is painting in the backgrounds, which I do quickly and randomly. This book will have all two-page spreads, so that's one reason I wanted it stitched before I paint -- all the page coordination is already done. Thanks so much for this great idea. Everyone needs a Journal - birds are the best!! !